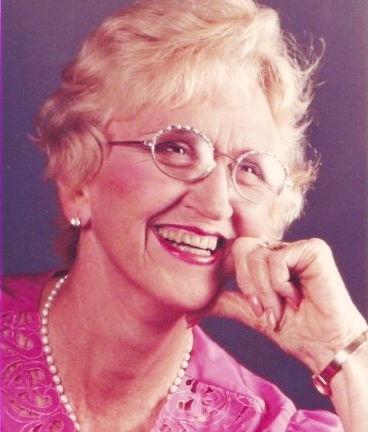 JAWN POIRIER RANNEY Jawn Poirier Ranney, 95, of Honolulu, inimitable and extraordinary, passed away on July 29, 2015. Originally from Hibbing, MN, Jawn earned her BA degree from the College of St. Scholastica and did graduate work at the Catholic University of America. She was a loving wife and mother of five. Jawn worked at Sears Sales for 18 years and was a Eucharistic Minister for the Cathedral of Our Lady of Peace in Honolulu. Predeceased by husband Donald Ranney and daughter Bernadette Ranney, she is survived by her children, Joan Riebli, Donald Ranney, Celestine Ranney-Howes, and Francis Ranney, 12 grand- children and 14 great-grand- children. Memorial service to be held Saturday, September 5th at Hawaiian Memorial Park Chapel, Kaneohe. Visitation at 9:30 a.m. Service at 10 a.m. with reception to follow.